I’ll admit it: I haven’t seen Annabelle. 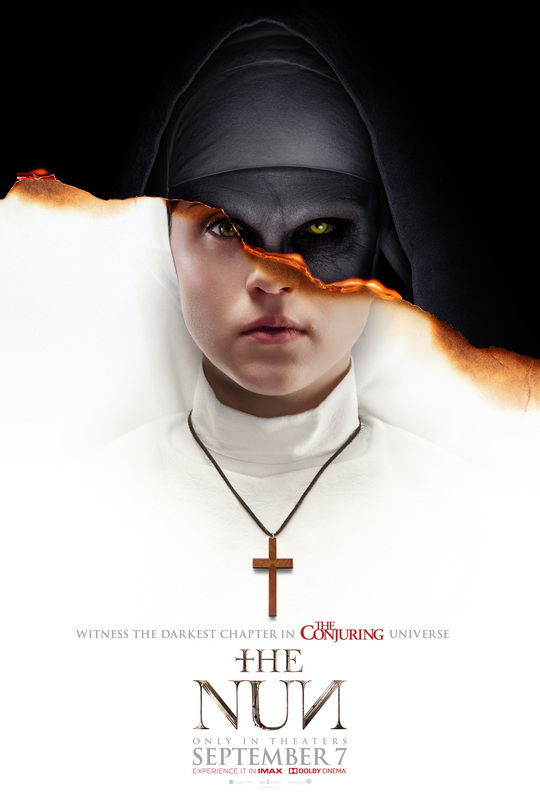 Yes, I’ve watched both of The Conjuring films, but the spin-off about an evil doll seemed a little perfunctory to me. Malevolent dolls are a classic horror trope. I didn’t think Annabelle would do anything different to what we’ve seen before. Of course, one Annabelle film wasn’t enough. We needed a prequel to a spin-off, obviously! However, my curiosity was piqued by the decent reviews it was receiving. Those were misleading. It isn’t a terrible film by any means, just mediocre. It goes through all the motions of a haunted house/haunted doll film without adding anything special to the genre. Of course, if a house is haunted, you shouldn’t leave it, should you? I’m rolling my eyes just thinking about the set-up. It’s as generic as you can get in the horror genre. There are doors opening of their own accord, little girl subject to possession, religious symbolism, and lots of jump scares. Oh, there’s a scarecrow as well, which reminded me of that Doctor Who story ‘Family of Blood’ (speaking of Doctor Who, there’s a jump scare involving a bedsheet that reminded me a lot of one that occurred in the episode ‘Listen’). The jump scares are occasionally effective, but forgotten about soon after they make you jump. There’s only so many scenes of foreboding quiet before something appears out of nowhere that can be thrown on the screen, and Annabelle Creation stretches to breaking point to create jump scares. But what horror films require is atmosphere. I can’t deny there is a quiet sense of unease in some parts of Annabelle Creation, but they are undercut by a plain script and a plot that laughs at believability. I don’t want to spoil too much, but you’ll end up wondering why the husband and wife thought it was a good idea to let a bunch of girls live in their house. That’s a common problem with stories about demons, spirits and ghosts, but the unfurling mystery of Annabelle Creation seems more ludicrous than most other horror plots. There’s promise beneath all the mediocrity, however, I wasn’t a fan of Lights Out, but it had potential, and the director shows potential here as well. David F Sandberg knows his way around a camera and a scene. There’s some innovation and intelligence behind the camera. Given some really good material, Sandberg could create a great horror movie. Most of the actors and actresses are one-note, apart from Lulu Wilson as Linda. She’s a very expressive young actress, who’s going to have a great career. However, her appearance made me think of the far superior Ouija: Origin of Evil, last year’s horror prequel that sounded unnecessary, but actually served up an effective chiller. It didn’t necessarily toy with any genre conventions, but delivered on the promise of horror. Annabelle Creation is typical of a prequel driven by monetary concerns rather than creative concerns. There’s nothing notable about this prequel at all. It’s just there, delivering everything we expect without verve or pizzazz. 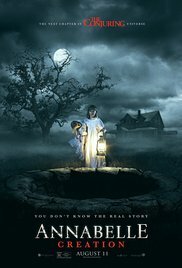 We need more prequels like Ouija: Origin of Evil, rather than Annabelle Creation. VERDICT: 5/10. Annabelle Creation is the definition of mediocre. It’s just about acceptable, ticking off horror boxes without thinking about them. What did you think of Annabelle Creation (2017)? Leave your thoughts/comments below!